To reduce your risk of chronic diseases, include more high-protein foods—especially plant-based protein—in your diet. Make sure you get enough plant-source high-protein foods. Legumes should be near the top of your list; beans, lentils, and peas offer fiber, folate, manganese, potassium, iron, magnesium, copper, selenium, and zinc. Adopting a plant-based diet, studies suggest, can lower your risk of chronic disease and extend your life. That’s why health experts are recommending the addition of a few meatless meals—ones that contain plant-based protein—to your weekly meal plans. Plant foods are known to contain fiber, vitamins, minerals, phytochemicals, and healthy fats along with, importantly, a significant amount of protein. 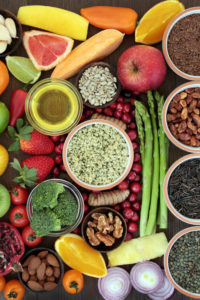 Among the plant-based protein sources are legumes (beans, lentils, peas, and peanuts), seeds (chia, hemp, flaxseed, and others), and nuts (including almonds, walnuts, and pistachios). You’ll gain maximum health benefits from consuming healthy, high-protein foods at each meal. Protein is also an important component of healthy snacks because it helps you feel full longer, which can help prevent weight gain. 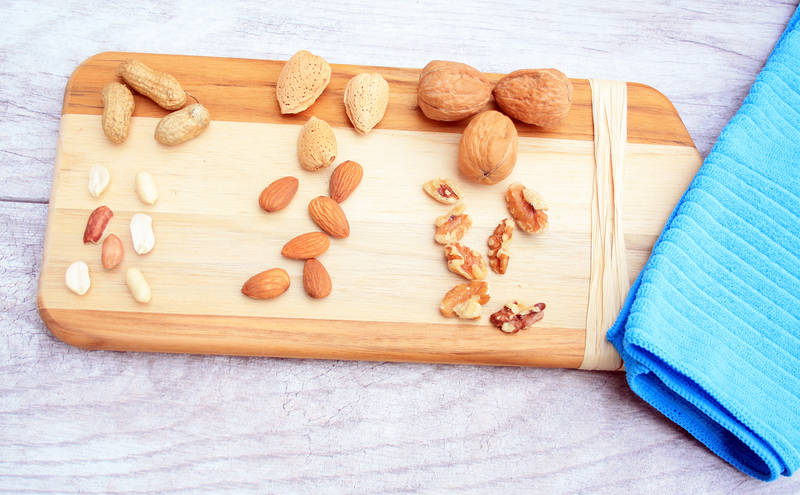 Foods that are ideal for snacking include nuts, seeds, and dips made with beans or peas. Below, we dig in on eight of the most nutritious, plant-based protein foods available. 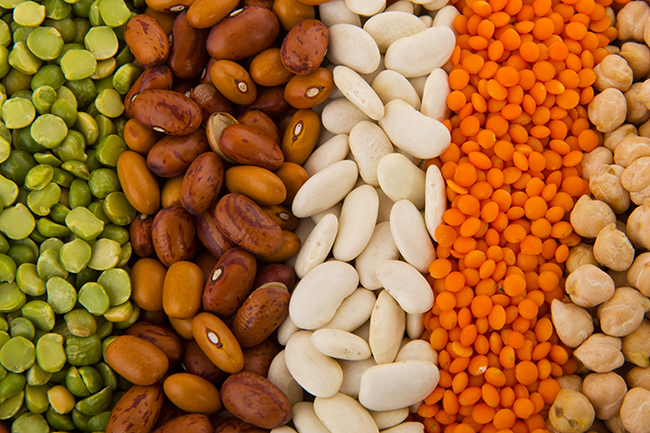 Legumes are a class of vegetables that includes beans, lentils, and peas. Legumes are shelf-stable and economical, and they provide fiber, folate, manganese, potassium, iron, magnesium, copper, selenium, and zinc in addition to protein. Consuming legumes has been linked with lowering blood cholesterol levels, reducing weight, and helping to prevent heart disease, hypertension, diabetes, and some types of cancer. Among the most popular plant-based protein foods are soybeans. They’re legumes, but they’re in a category all their own. This bean has been widely studied because of its unique nutritional profile. In particular, soy provides a good balance of amino acids. Studies have linked eating soy to a number of health benefits, including reducing cholesterol levels and lowering the risks of heart disease and prostate cancer. Some women avoid soy foods due to concerns about an increased risk of breast cancer, but recent studies have found that soy intake poses no increase in breast cancer risk, even for breast cancer survivors. The nutrient-dense walnut earned a qualified health claim from the U.S. Food and Drug Administration (FDA) for the role it can play in reducing the risk of coronary heart disease. Walnuts also have been linked to cancer prevention, protection against cognitive decline, and reduced risks of type 2 diabetes and hypertension. Walnuts are rich in fiber, magnesium, and phosphorus, and they provide four grams of protein in a single ounce. Walnuts, like all tree nuts, are dense in calories; they contain 180 calories per one-ounce serving. Although they are a great source of many nutrients, it’s advisable to eat just one serving each day to keep the calorie counter from going too high. Almonds are high in healthy, monounsaturated fat and rich in protein, providing six grams per ounce (just a bit less than the amount of protein found in meat). Almonds also are one of the top sources of vitamin E, which acts as a powerful antioxidant in the body. Studies that have been conducted on almonds point to numerous benefits, including better heart health, management of diabetes, and weight control. High-protein foods from plant sources? Peanuts, almonds, and walnuts are top sources—and better raw, of course, rather than salted. Peanuts are another worthy plant-based protein source. A one-ounce serving of peanuts (about 28 whole nuts) provides seven grams of protein—the highest protein content of all types of nuts, and about the same amount as in an ounce of meat. And, peanuts provide many other valuable nutrients, including niacin, thiamin, choline, vitamin E, magnesium, zinc, iron, and copper. Hemp seeds’ nutrition facts are impressive; they contain 10 grams of protein and 10 grams of heart-healthy omega-3 and omega-6 fats per ounce (three tablespoons), along with iron, thiamin, magnesium, zinc, and manganese. Hemp seeds can be tossed into homemade granola or salads, blended into smoothies, sprinkled into stir-fries, and mixed into savory dishes. If you’re concerned about hemp’s relation to marijuana, rest assured that hemp seeds do not cause a psychoactive effect when ingested. Chia seeds are packed with protein (6 grams per two-tablespoon serving), as well as heart-healthy unsaturated fat, fiber (10 grams per serving), calcium, magnesium, manganese, and iron. When combined with water, chia seeds have the unique ability to form a gel that can help bind ingredients together, so a mixture of chia seeds and water can be used as a replacement for eggs in many recipes, such as cookies, breads, puddings, and cakes. Don’t overlook flaxseed as a plant-based protein source. Flaxseed is rich in heart-healthy unsaturated fats and plant omega-3 fatty acids. One ounce (about three tablespoons) of flaxseed contains five grams of protein and provides vitamin B1, magnesium, zinc, and manganese. Some studies have linked cardiovascular benefits with flaxseed consumption, and researchers are exploring its potential for diabetes, cancer, and digestive benefits. Always grind flaxseed before using, since whole seeds will pass through your digestive tract intact, and your body won’t receive their beneficial nutrients. 2 diabetes, almonds, amino acids, antioxidant, blood cholesterol, blood cholesterol levels, breast cancer, breast cancer risk, breast cancer survivors, calcium, calorie counter, calories, cancer, cancer prevention, cancer risk, cancer survivors, cardiovascular, cholesterol, cholesterol levels, choline, cognitive decline, coronary, coronary heart disease, diabetes, diabetes and hypertension, diet, digestive, digestive tract, fiber, folate, food, health, healthy fats, healthy meal plans, healthy snacks, heart disease, heart health, heart healthy, hemp seeds nutrition facts, high protein foods, hypertension, iron, magnesium, meatless meals, niacin, nutrients, nutrition, nutrition facts, nuts, omega 3, omega 3 fatty acids, omega 6, plant based diet, plant based protein, potassium, Prostate, prostate cancer, protein, protein sources, reducing cholesterol, risk of breast cancer, selenium, soy, studies show, type 2 diabetes, types of cancer, vegetables, vitamin, vitamin e, vitamins, vitamins minerals, walnuts, weight control, weight gain, weight gain foods, zinc.